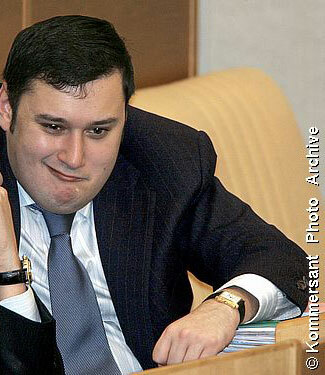 Deputy Governor of Orlovskaya Oblast, Vitaly Kochuev – guilty of illegally withdrawing funds from the government account and personally buying for $20,000 a government-owned hotel complex called “Lesnoye” (Лесное), which was in fact valued at $608,000. Chaika also gave as an example one Vice-Minister who was unlawfully running a business, and stopped once notified by the General Prosecutor’s office. Chaika refused to provide the Vice-Minister’s name, though Duma Deputies claimed it was Oleg Savelyev, who is in charge of Special Economic Zones at the Ministry for Economic Development. The overall impression from the hearing was that Russia is “at the start of a very long path” and that political “will is not enough.” The more interesting moment in the hearing, however, was not in the presentations and did not concern any officials in far-off regions. I’ve written before that I think Bastrykin is on his way out – perhaps to make way for either Aleksandr Gutsan or Aleksandr Konovalov – though I have no idea whether Khinshtein’s line of questioning is related. It seems more likely that Khinshtein’s ego is at play. In any case, the 2008 accusations – especially in light of the new reporting requirements for bureaucrats – illustrate Bastrykin’s weakness. The General Prosecutor’s office has also recently sought new investigative powers, including the ability to seize property in cases where there still are no suspects and the power to challenge arbitrazh (commercial) court decisions. Expert commentators criticized these proposals, arguing that any expansion in power for government investigators would lead to abuses. This entry was posted in corruption, investigative committee, President Medvedev, prosecutor general, siloviki, war on corruption. Bookmark the permalink.